Lynne Coulson Barr, a current doctoral candidate in the Faculty of Law, has been appointed as Victoria's first Mental Health Complaints Commissioner. Lynne is currently enrolled in the Doctor of Juridical Science (SJD). 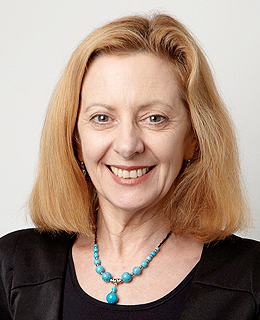 Her thesis is about efficacy of decision making on the suitability of disputes for statutory conciliation: How can decision making ensure appropriate access to conciliation as a means of resolving disputes, particularly for people with disabilities under the supervision of Associate Professor Bronwyn Naylor. In 2013, Lynne was also awarded a Weinstein International Fellowship from the JAMS Foundation in the United States to undertake a study of alternative dispute resolution practices, one of only 12 people selected from around the world. Lynne will apply the insights gained from this study tour, together with the findings from her current doctoral research on conciliation, to develop specialist approaches to complaint resolution in the mental health sector, with a focus on promoting effective access and outcomes for people with mental illness and their families.